PORTSMOUTH, New Hampshire — Following his guilty pleas for sending emails with threats to commit crimes at gunpoint, in one instance posing as Portsmouth Police Chief Robert Merner, Austin Santoro has petitioned a judge for his release from custody until he is sentenced for the crimes. 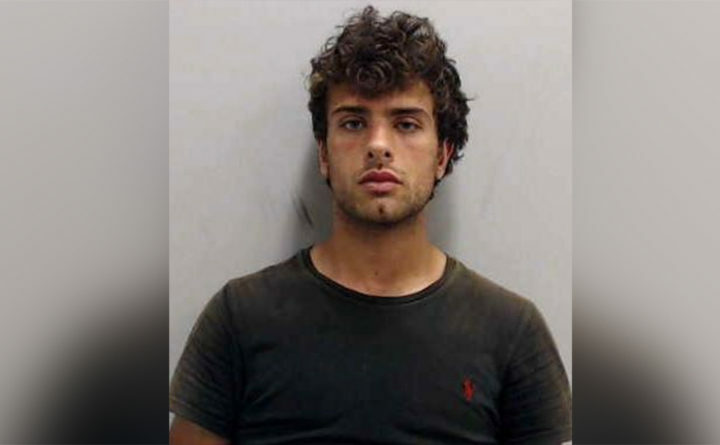 Santoro, 23, of 122 Cider Hill Road, York, Maine, pleaded guilty last month to a felony count of “transmitting threatening interstate communication” and a second felony count of identity theft. One plea was his admission to using a foreign spoofing service to send emails to Portsmouth Police Department employees, which appeared to be from Merner, making threats of gunpoint violence. The second plea alleges he did the same thing to employees at York County Community College. Santoro’s attorney J. Hilary Billings on Tuesday filed a memo with the U.S. District Court of Maine arguing his client is in need of mental health treatment and arrangements have been made for that to commence upon his release from jail. Santoro’s lawyer also argues his client’s guilty pleas were not to crimes of violence, for the purposes of the Bail Reform Act, under which he seeks per-sentencing release. Billings wrote that crimes of violence under the act are defined as those for which 10 or more years of prison is prescribed. Assistant U.S. Attorney Craig Wolff filed a counter memo arguing, “Santoro’s guilty plea to a crime of violence triggers the mandatory detention,” which requires him to prove there are exceptional reasons why he should not be held until sentencing. Wolff also said he takes no position about whether there are exceptional circumstances under which Santoro should be released before he’s sentenced and defers that decision to the court. Judge D. Brock Hornby is presiding over the case and has not yet issued a ruling.